The Campanula plant genus is very large, and includes species that are Hardy Perennial, Hardy Biennial, and Hardy Annual in nature. 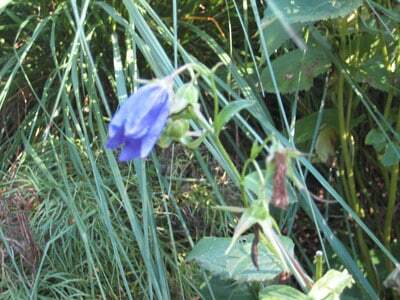 One thing that Campanula plants have in common is that they all bear bell-like flowers, usually of blue or white. 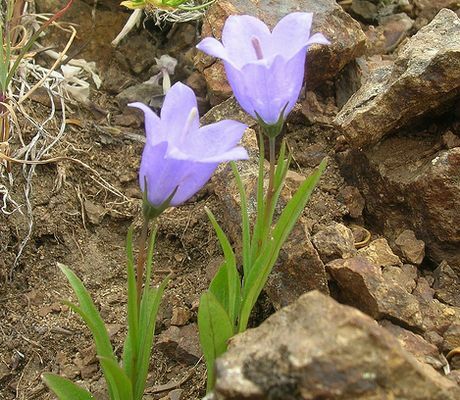 Smaller species can be used in a rockery, whereas larger members of the Campanula genus can be used anywhere in the garden. 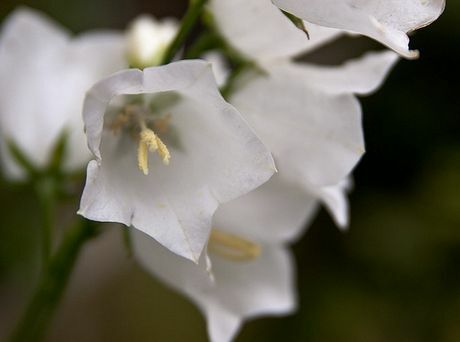 Some of the common names of Campanula garden plants include Bellflower, Peach Bells, Harebell and Canterbury bells. They usually flower in the spring or summer. Common Names: Bell Flower, Harebell, Bluebell, Peach Bells, Canterbury Bells, Rampion. Life Cycle: Hardy perennial. Hardy biennial. Sometimes as a hardy annual by gardeners. Height: 2 to 80 inches (5 to 200 cm). Flowers: Spring and/or summer to early autumn. Flower Details: Blue, pink, white, purple. Panicle. Bell shaped. Foliage: Variable; often broad at the base of the plant and narrow higher up the stem. Sow Outdoors: Surface. Early spring (or early autumn in mild climates). Sow biennials in late spring or early summer. Spacing: Small species 5 to 10 inches (12 to 20 cm); Large species 15 to 20 inches (38 to 50 cm). Sow Indoors: Light (not direct sunlight). Germination time: two to four weeks. Temperature 70°F (21°C). Nine or ten weeks in advance of transplanting outdoors in early spring or early autumn. Biennials should be transplanted in the autumn. Requirements: Full sunlight for best results (except in very hot areas then partial shade). Soil pH 6.5 to 7.5. Ordinary soils. Gritty soils in rockeries. Supply water in dry spells. Deadhead. Supply winter mulch of manure. Use a stake for tall species. 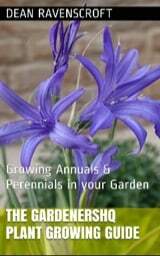 Perennial species can be propagated form cuttings or by division in autumn or spring. Seeds of Campanula should be sown on the surface in the early spring. If growing bellflower and similar garden flowers from seed indoors, then they should be prepared about ten weeks before putting out. They require two to three weeks to germinate and should be grown in light at a temperature of between 15 and 20°C. The seedlings of bellflower should then be planted at a spacing of about 20cm (small varieties) or 40 cm (larger varieties). They should be planted into an area of the garden that has full exposure to the sun into a pH neutral soil in the early spring. Campanula plant species such as bellflower and Harebell require feeding in spring and regular watering in dry periods. It is best to dead head Campanula flowers to maintain flowering.